Aelia is an Irish company and an independent software provider with 20 years of experience in web development and consulting services. Currently, the company develops solutions, plugins and themes for WordPress, WooCommerce, Easy Digital Downloads, and Vanilla Forums. 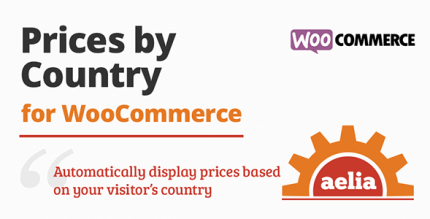 In 2013, Aelia released its flagship product called Currency Switcher for WooCommerce, which is currently the most flexible solution for multicurrency online stores on WooCommerce. The product received excellent reviews and positive feedback from customers. A couple of months later, at the request of customers, Aelia developed a similar solution for the Easy Digital Downloads platform, which became the most advanced solution for multicurrency sales. Aelia also offers associated solutions for integrating its plugins with payment gateways and some WooCommerce add-ons, as well as some additional useful functionality.